This set of dolls made of metals ideal for decoration in any living room. The vibrant colour combination makes it more jolly and beautify the shelves. 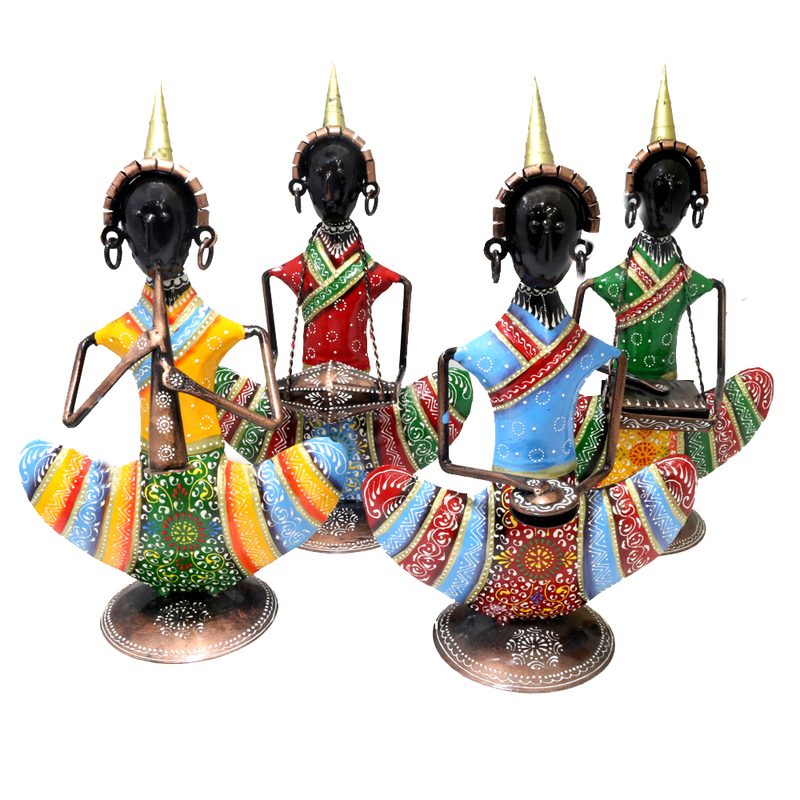 Metal made tribal musician dolls not only representing the culture of the tribals, but it is also an ideal set for home décor. The rejuventaing Read More..combination of hues makes it more vivid. Place this set of dolls on the cabinet of your drawing room or on the table top of your dining area. It will definitely create a positive impression in the minds of the guests by its aesthetic appeal. Show Less..